EQ-DHG-9070V-TA is air circulating oven with max. working temperature 200°C and 71 Liter capacity. 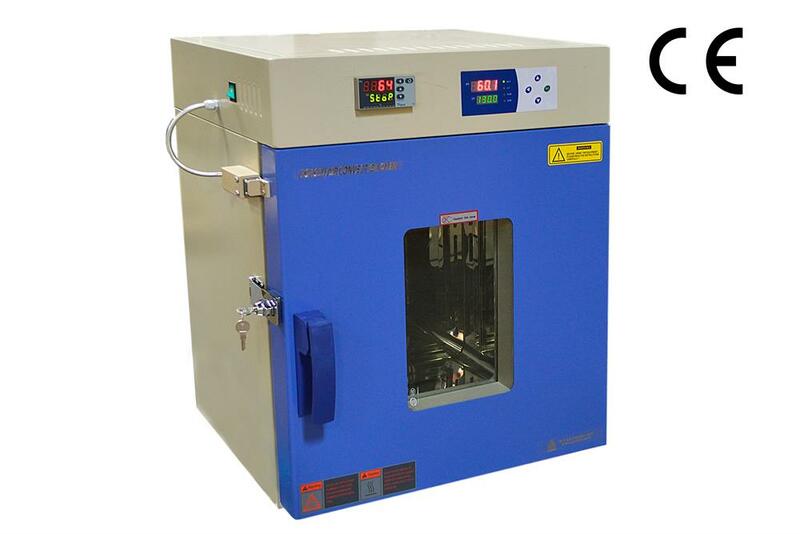 The oven is designed for battery thermal abuse test under IEC62133. Digital temperature control will provide +/-1°C accuracy with over-heated alarm and finish alert. Double layer explosive-proof film attached to the observation window to prevent glass shards from flying out by battery explosion. 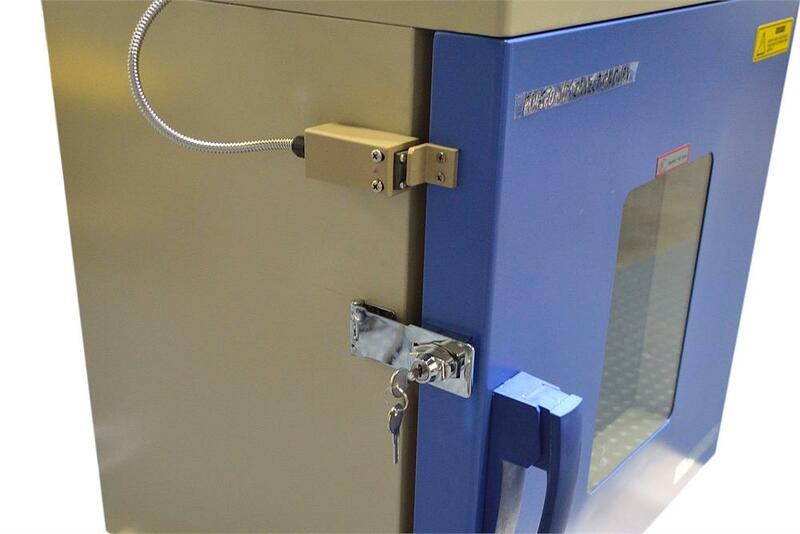 Door padlock deters unwanted interference during testing and also ensures the door remains sealed during an explosion (click the picture on left to see details). Interlock protection is included to cut the power if the door is open during furnace heating process. 28 segments Digital Temperature Controller with +/- 1°C accuracy. 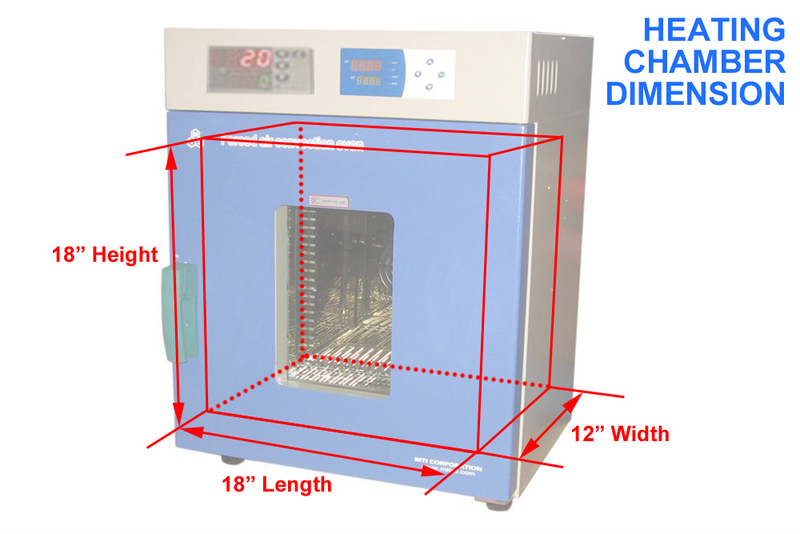 For accurate temperature, you shall calibrate temperature by using Temperature Calibrating Kit by yourselves. Please click to review How to calibrate the oven and set temperature offset.